Seated on the back seat of the car, I was scrutinising the landscape. Although we were driving through one of these English narrow roads, squeezed between two tall edges, the place was nevertheless growing in familiarity. Twenty-two years! Twenty-two years that I hadn’t been here! Now the landscape and the roads were known by me, my heart was throbbing and I was seized by an unavoidable emotion. We passed in front of the school’s gate, another hundred meters, and there it was, on the right. It said on a sign: “Krishnamurti Centre”. We parked and came out of the car. No building was yet in view, I was standing and felt overwhelmed by something warm and familiar, as if all the trees, and the pebbles under my feet, and the trembling leaves, and the few sounds around, and the presence – Oh yes, the presence! – were all presented to me like one big sensation, one big knowing and remembering of something I have dearly loved. I was shaken with tears. I lived and worked here for more than four years. A big part of my personal identity still belongs to this place, even decades later, and my apprehension of the spiritual journey comes from these years spent in the aura of Krishnamurti’s teaching. We moved forward and saw the building, sitting like a nest among the apple trees, blending in the landscape in a very touching way. I was watching everything, everywhere, awake, noticing the few changes, but above all feeling the pregnancy of nature all around. We went down a few steps and stood in the entrance. A plaque had been erected on the wall: “The Krishnamurti Centre, 1986”. Memories flooded again. 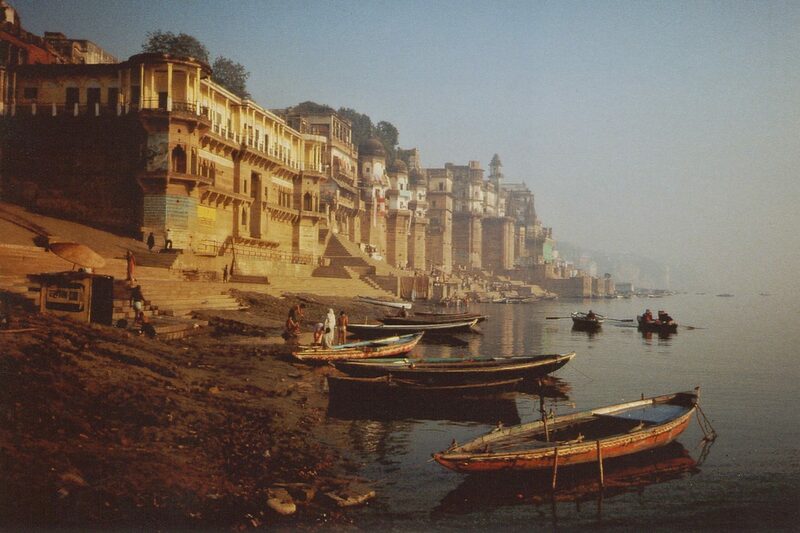 It was the year of my first trip to India, I had been thrown into the arms of ancient Varanasi, where for a timeless moment, the sky of consciousness had opened wide on me. There, a friend had presented me with a copy of the magazine ‘Indian Newsweek’. One particular article drew my attention, it opened with these words: “Jiddu Krishnamurti, the religious philosopher and teacher, died of cancer yesterday at his residence at the Krishnamurti Foundation in Ojai, Calif. He was 90 years old.” There was a picture that was presented as the last one of Krishnamurti, with his hair loose in the wind of Adyar Beach, in Madras. Two years later, I was accepted as one of the staff members in Brockwood Park – Krishnamurti’s school in Hampshire, England, only a hundred yards away from where we stood – working as a cook in the Centre. Just as we opened the door, I looked at my two friends and my eyes told them something like: Let me now show you this most beautiful place, where I once worked and was steeped in this man’s unique teaching. Jiddu Krishnamurti was born in 1895 in Madanapalle, a small town of Andhra Pradesh, in south India. When he was only only thirteen, playing on the grounds of the Theosophical Society in Madras, where his father worked, the high ranked theosophist C. W. Leadbeater noticed the beauty of his aura and foresaw that the young boy would one day become the ‘World Teacher’, the new messiah that all the members of the Society were expecting. He was sent to England to be educated and was, for the years to come, enrolled and prepared to fulfil his followers’ expectations. A new organisation, the ‘Order of the Star of the East’, was created with Krishnamurti at his head. Under the wing of the Theosophical Society, accompanied by his beloved younger brother Nitya, he began travelling the world, delivering sermons. When he was 28, Krishnamurti underwent an ‘intense spiritual experience’ that lasted for three days, in Ojai, the place in California where he would later have his home. It was a turning point in his life. Ater the death of his brother three years later, he became tired and in disbelief of the ways of the Society. In 1929, he gathered the three thousand members of the ‘Order of the Star’ in Holland and announced the dissolution of all organisations set around him, pronouncing these famous words: “I maintain that Truth is a pathless land, and you cannot approach it by any path whatsoever, by any religion, by any sect. That is my point of view, and I adhere to that absolutely and unconditionally. Truth, being limitless, unconditioned, unapproachable by any path whatsoever, cannot be organised; nor should any organization be formed to lead or to coerce people along any particular path.” For the next 60 years, Krishnamurti travelled the world over, giving talks, meeting with countless people, describing to all his first hand discovery, a way of living that is wholly, totally fresh, untouched by conditioning, and infused with sacredness. As we were strolling inside the Centre, the beauty and simplicity of the place made a strong impression. It had been designed by Keith Critchlow, an architect specialised in sacred buildings. Everything here carried meaning and thoughtful organisation. The Centre is a place for retreats, set to provide a quiet environment for the guests who come here to study Krishnamurti’s teaching. In the library, we checked randomly some of the books aligned on the shelves. Deeply evocative titles like ‘The First and Last Freedom’, ‘Freedom from the Known’, ‘The Ending of Time’, ‘The Impossible Question’, ‘The Future is Now’. K, or Krishnaji, as he was affectionately called, had set his Teachings outside all religious traditions or spiritual paths, refusing the Indian concept of guru. He spoke in an austere, investigative way, punctuating his speech with some affectionate or eager “Please kindly pay attention.”, “Are you doing this?“, or “…but you do not have it yet, do not run away with the smell of a perfume.” He warned again and again: “Truth must be discovered, but there is no formula for its discovery. What is formulated is not true. You must set out on the uncharted sea, and the uncharted sea is yourself. You must set out to discover yourself.” The books indicated another strong inclination of his. This is his love for scientific investigation and dialogues. Over the years, he spoke with a number of famous scientists, like the renowned physicist David Bohm, the author and biologist Rupert Sheldrake, who developed the new concept of ‘morphic resonance’, and Jonas Salk, who discovered and developed one of the first successful polio vaccines, but also the professor of philosophy Dr. Allan W. Anderson, Pupul Jayakar, who was an Indian cultural activist and writer, and the psychiatrist Dr Shainberg. We decided to go in the ‘quiet room’, the room that Krishnamurti wanted to be the very heart of the centre: “It should be like a fountain filling the whole place. That room should be the central flame; it is like a furnace that heats the whole place.” We spent there a timeless moment, and were lead to this placeless place, this true self that K described in countless ways, pushing us to look, observe, see for ourselves, that beyond the intricacies of our deeply ingrained conditioning lies something indescribable, a freedom, a happiness that is beyond self-improvement. Patiently, thoroughly, tirelessly, he showed us the importance of being choicelessly aware in order to bring down our person’s defences. “The self must cease through awareness of its own limitation, the falseness of its own existence.” The silence deepened. The time came for us to have lunch, meet with old friends, share with guests around the table, and have tea while admiring the beautiful courtyard next to the dining hall. There was a fountain there, with letters carved all around that said: “We are the world and the world is us”. We had arranged to meet in the school at 4pm, where a student would show us around. What a wonderful day! We decided to go for a walk, as it was a splendid afternoon. We strolled along the meadow beyond the south lawn of the school. The old creamy building was in sight, originally a seventeenth century manor, with its red brick tower by its side. What a magnificent view from here, with the aged symbolic cedar tree standing with such pure lines of perfection. The whole thing was teeming with peace and beauty. We arrived in front of a small squeaky gate, opened it, and entered paradise. This place, called ‘the grove’, was planted with rhododendron bushes, trees, among them a few tall sequoias. The ground was covered with rhododendrons’ petals. It was a place we barely dared to walk on. It was a place for meditation and a sense of sacredness radiated all around us. Krishnamurti loved this place. Nature had always been for him something he had the highest veneration for, as it is attested in many of his writings. His exquisite descriptions of nature, that you can find in some of his books, are a testimony to his looking at the world in a way that is always new and fresh, uncontaminated by thoughts, by the past. They are an exemple of a non-dual apprehension of life, of nature, and of the thousands happenings. Again the time came to see yet another beloved place: the school. Krishnamurti had understood very early the importance of creating places where students could, in his words, “flower in goodness”. He founded five schools in India, among them ‘Rishi Valley School’ in 1926 and ‘Rajghat Besant School’ in 1934 in Varanasi, ‘Oak Grove School’ in Ojai California and ‘Brockwood Park’ in England, founded in 1969. As soon as we entered, I was again filled with emotions. What contrast with the Centre! This was the home for about seventy students coming from twenty-five different nationalities, all aged from 14 to 19 years old. The energy was palpable. This was a place for learning and freedom. A young student from Australia welcomed us. With her guidance, we visited the wonderful kitchen, the sitting room, some of the classrooms, the library, the art barn, the music studio, the big organic vegetable garden. Krishnamurti wanted the children to grow in an environment of leisure, where students and staff members alike could live and learn together. He wanted to educate the whole human being and provide a place devoid of society’s hindrances and pressures that limit the growth of the child. Every student here owns his or her own personal cursus and timetable. Numbers per class are kept small, and students are encouraged to reflect on themselves and the world with beautifully designed courses like ‘Inquiry Time’, ‘Human Ecology’, ‘Arts & Crafts’, ‘Humanities’ plus any other topics that the staff has knowledge about. Creativity is encouraged as much as academic excellence. Care for nature and the environment is put forward. Proper care of the body and physical exercices are given high importance too. Students who want to pursue their studies at university are given the proper courses and pass the A-level exams. Above all, children get to know and pursue what they really love to do, have a passion or skill for, and are given the means to pursue it, for example through projects. “The right kind of education is concerned with individual freedom, which alone can bring true cooperation with the whole, with the many; but this freedom is not achieved through the pursuit of one’s own aggrandizement and success. Freedom comes with self-knowledge, when the mind goes above and beyond the hindrances it has created for itself through craving its own security. It is the function of education to help each individual to discover all these psychological hindrances, and not merely impose upon him new patterns of conduct, new modes of thought. Such impositions will never awaken intelligence, creative understanding, but will only further condition the individual. Surely, this is what is happening throughout the world, and that is why our problems continue and multiply. Now slowly walking back to the parking, we reflected about this unique day spent in Brockwood Park and about what trust and vision were needed to embark in creating such places around the world. Although my two friends had no knowledge and preconceptions about the place, they have felt its unique presence, they have been deeply touched and impressed by it, to a point I had not envisaged. For me, it has been a day like you have in your life once every ten years. The place overwhelmed me with its beauty and energy. These hours spent here had been fresh, new. Even meeting again with some of my old friends had a quality of something that had no past. The necessity of seeing everything afresh, anew, without the distorting glasses of the past, is what Krishnamurti had stressed and hammered in countless talks and dialogues all his life. This day had given us yet another glimpse, or taste, of a way of living that is beyond all concepts, all ideas, all imitations, all limitations. This was a day infused with freedom and happiness. – Read about Keith Critchlow’s adventure with designing the Krishnamurti Centre. – You can also read the beautiful page on ‘The Culturium’: ‘Krishnamurti’s Notebook’ by Paula Marvelly. – Two films presenting the life at the School: ‘Intro to Brockwood Park School’, made in 2003 and ‘Brockwood Park: A Symphony’, in 1989.